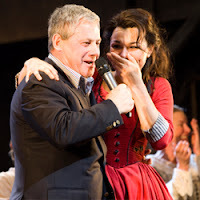 Cameron Mackintosh went on stage last night at the curtain call of Oliver! which is playing at the Palace Theatre in Manchester to tell Samantha Barks she will be playing Eponine in the movie of Les Miserables. He told the cast and audience that he had a big announcement to make before flying to America that Barks would be taking the role of Eponine saying: "For the last few months in Hollywood, Broadway and London, we've been searching for Eponine and you in Manchester are going to be the first people to find who it is... and now our director Tom Hooper has chosen her for the movie." Barks is currently playing Nancy in the tour of Oliver! She was one of the finalists in the Andrew Lloyd Webber "I'd Do Anything" search for Nancy and has recently been playing Eponine in Les Miserables at the Queen's Theatre. I suspect she will be soon be leaving the tour as rehearsals are already under way at Pinewood Studios under the direction of King's Speech Tom Hooper. She said on the BBC that she wasn't sure what with happening with her remaining Oliver! dates as her filming schedule was still being worked out. 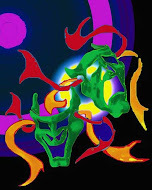 Shooting will start in March. She will join a very starry cast which includes: Hugh Jackman as Jean Valjean, Russell Crowe as Javert, Sacha Baron Cohen as Thernardier, Eddie Redmayne as Marius, Aaron Tveit as Enjolras, Amanda Seyfried as Cosette, Anne Hathaway as Fantine and Helena Bonham Carter as Madame Thenardier. Taylor Swift has been mooted as playing Eponine and has been in London meeting with Cameron Mackintosh but obviously a deal was not struck. Personally I was hoping that common sense would prevail and that Sam Barks would get this role (she was fabulous in the role in the West End). It's great that some musical theatre performers are now getting roles with Colm Wilkinson and Frances Ruffelle also appearing in the movie. So happy that she got the role! Really excited for the movie!! !